Games » Puzzle » Merge Dragons! Merge Dragons! - 37 - "Easter 2019 Event"
- This version is full of festive spirit! With this update, you’ll soon be able to play our exciting new Carnival Event, and have the chance to meet the Samba and Jester Dragons for the very first time! Get ready to celebrate with your dragons - Carnival is coming to Dragonia! - We made performance changes that should improve battery life and frame rate for most players. - This version is full of holiday spirit! We've packed in three events - the Christmas Event, Year's End Event, and the Zen Dragon Event - with unique items and dragons to merge and meet! Plus - you won't have to wait long between events! The Christmas and Year's End Events will run one after the other. - Happy Thanksgiving from Dragonia! With this update, you'll soon be able to play the Thanksgiving Event, and have the chance to meet the Wood Dragon! - We've added 9 brand new levels for you to enjoy! - "Prefer Dragon 5-Merges?" is back in the Settings. - Something wicked this way comes! With this all new update, you'll soon be able to play the Halloween Event, and have the chance to meet the Skeleton Dragon! - If you would like to receive a notification when your chalices are filled or all of your dragons wake up, you can now enable notifications in your device settings. - Attention all iPhone XS players! Your device is now fully supported - get to merging! - The "Once Upon a Time" Event is on its way! Get ready - you’ll soon be able to play this event, and have the chance to meet the Morpho Dragon again! - The Dragon Book is now better than ever! Your dragons will now be more organized - each breed will have its own page. You can also see and merge your eggs from the book, as well! This new version of the book brings with it an overall performance boost, too. Those of you with lots of dragons will be able to use your books way more easily! What's more exciting than a lunar eclipse? The Lunar Event coming back to Merge Dragons! 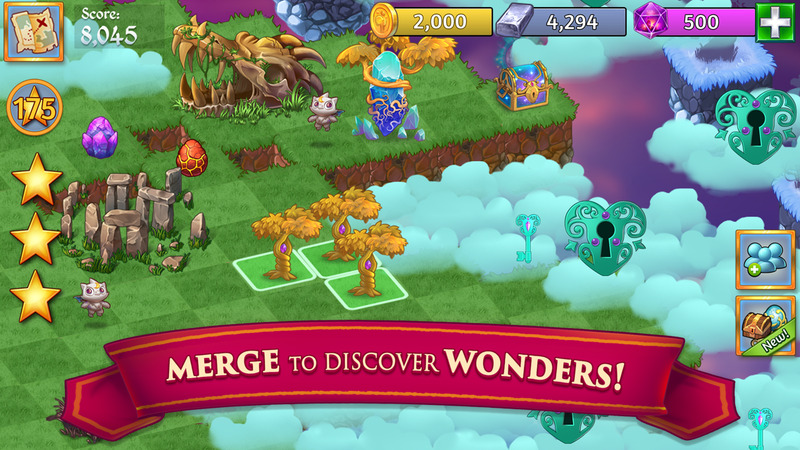 Get ready - you’ll soon be able to play this event, and have the chance to meet the Moon Dragon again. - Playing With the Past event returns! 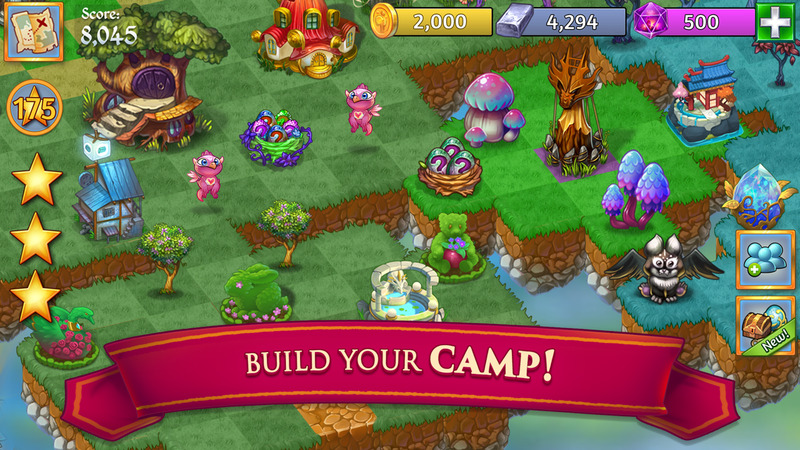 Play with limited-time toy items, and meet the super-cute Doll Dragon! - Added quests to Maywood 6 - Maywood​ 16. - Changed the value of IAP packs to include more powerful items like the dragon-spewing Alien Obelisk! - Multiple small improvements to battery life this update. One change is Battery Saver mode will be ON by default. You can always disable BS in Settings! - Many other fixes to make the game load faster and run smoother. More to come! - The Ocean Breeze Event is on its way! Get ready - you’ll soon be able to play this event, and have the chance to meet the Sea Dragon again! 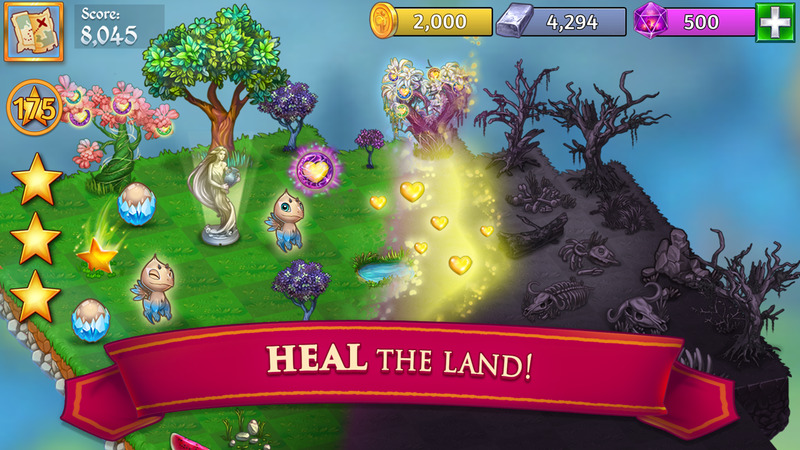 - We've added 11 brand new levels for you to enjoy! - FIX: Event dragons sorting is fixed in the Dragon Book. - Exciting news in Dragonia! The Zen Event is coming back! Get ready - you’ll soon be able to play this event, and have the chance to meet the Sensei Dragon again! - We have significantly decreased the difficulty of Challenge Levels 7, 8, 10, 15, 16 (yay! ), 17, and 21. - Fixed the bug where sometimes duplicate eggs appeared in the shop. Your summer dreams, come true! The Summer Event is back! 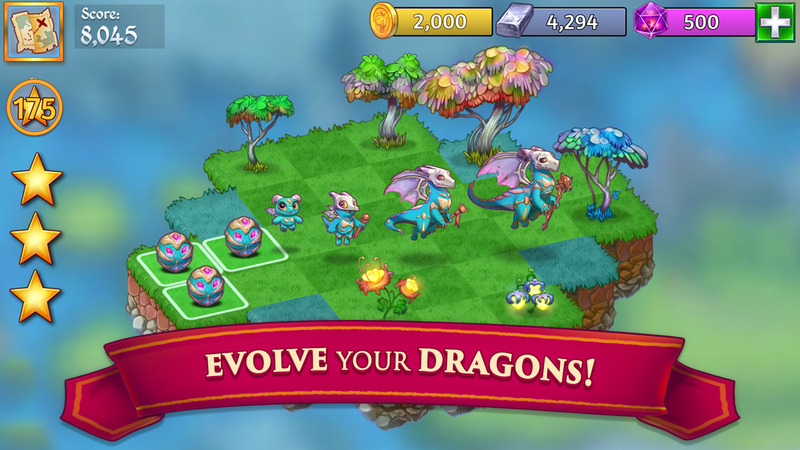 You’ll soon be able to play this super-sunny event, and meet the Diva Dragon again! You’ll also be able to get the Cool Dragon in store! You’ll have to have at least 35 Dragon Power to dive into the summer event! Get ready! You can now earn two chalices per day, and wake up your most powerful dragon twice a day by watching videos! We've fixed the issue causing high level item loss after merging in the previous update. We apologize for the inconvenience - for further help resolving losses from this issue, please contact our support team at support@gram.gs. - You'll soon be able to play the Summer Event, and meet the Diva Dragon! You'll also be able to get the Cool Dragon in-store. - When you merge level 4 dragons, there will now be a celebration to emphasise your new Tier 2 Dragon Nest! - The Midas Tree chain has been renewed with higher levels. We’ve fixed issues causing players with devices running iOS 9 or lower to experience crashes.